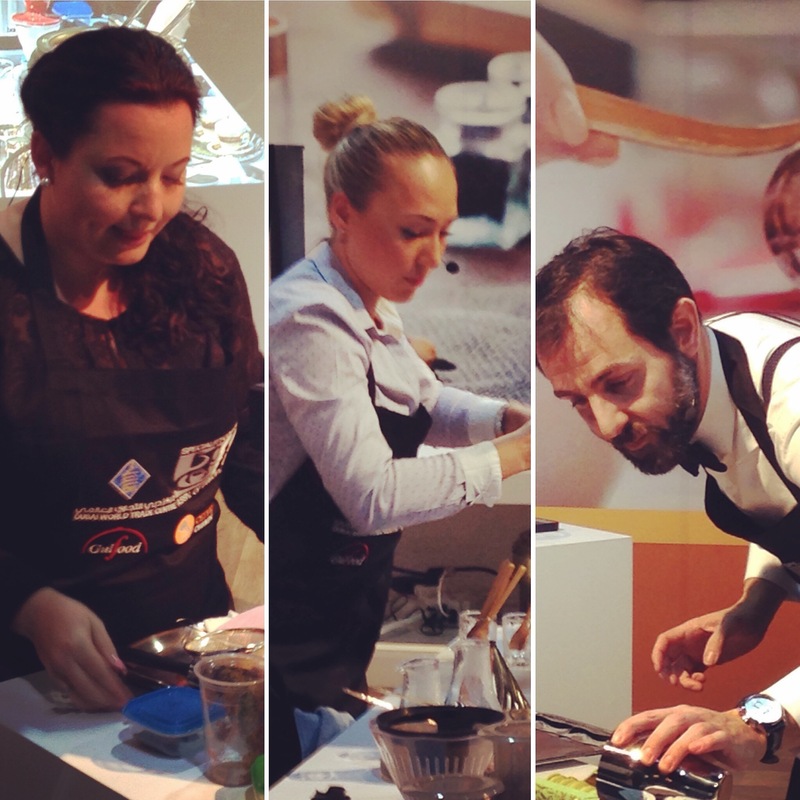 The 9th Cezve/Ibrik Championships are taking place at the Gulfood event in Dubai, UAE. After four full days of competition and performances from 19 international competitors, the judges have confirmed that Konstantinos Komninakis of Greece is the Cezve/Ibrik Champion of 2016. He takes home the trophy provided by our Awards Partner, Soy Turkiye, who handmade the award from 100% silver. In 2nd place was Hazal Atesoglu of Turkey, followed by Karthikeyan Rajendran in 3rd place, each of whom also took a handmade trophy home provided by Soy Turkiye. Ecaterina Szasz of Romania, Jerome Jumawan of Philippines and Sara Al-Ali of Saudi Arabia finished in 4th, 5th and 6th place respectively. 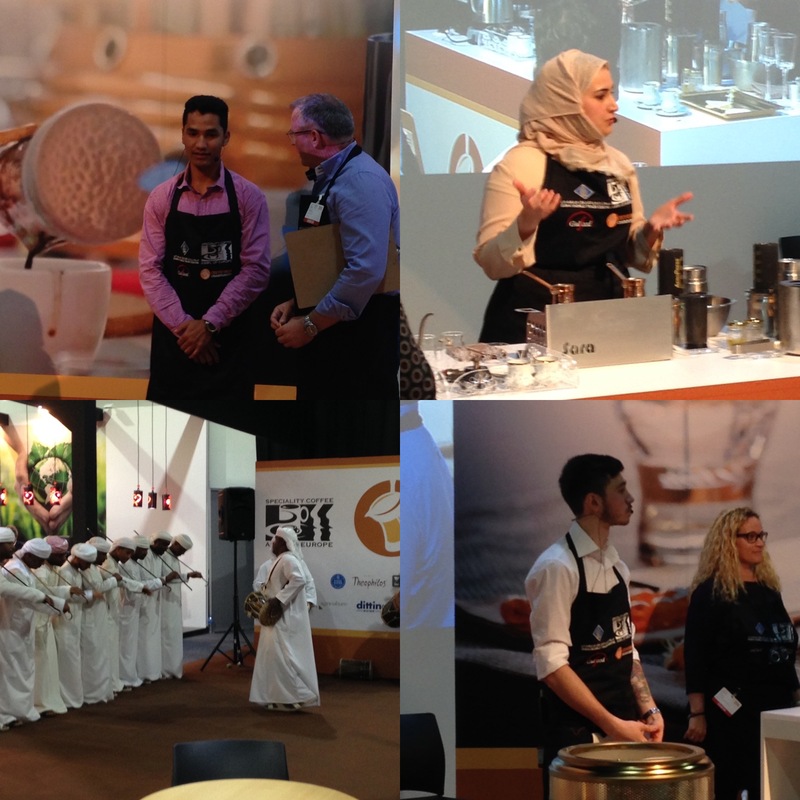 The day began with the 6 finalists that qualified after three days of heats, with Karthikeyan Rajendran of the United Arab Emirates performing first and demonstrating to the audience just how fierce the competition is at this level. Next up we saw an impressive performance from Ekaterina Szasz of Romania, before Konstantinos Komninakis of Greece delivered his presentation to an audience growing in number. Jerome Jumawan of the Philippines was the last of the male finalists to compete, before Hazel Atesoglu of Turkey and Sara Al Ali of Saudi Arabia rounded off the day’s action. There was little time to waste as the judges deliberated the results before announcing the winner. 2015 Champion, Davide Berti of Italy was in attendance having judged during the heats. “Being the Cezve/Ibrik Champion in 2015 was a privilege and I am pleased that this time honoured tradition is maintained at this high standard. I have been very impressed by the number of competitors who entered the competition and the reception from the crowd is the best I have ever seen” he said. Organised by the Speciality Coffee Association of Europe (SCAE), and supported by sponsors Gulfood and Loumidis, the Cezve/Ibrik Championships is an annual event that celebrates the world’s most traditional brew method in a competition format. The Cezve/Ibrik Championship was transformed into a festival atmosphere, with a whole host of additional features taking place throughout the event, including seminars from guest speakers such as Morten Munchow, Panos Konstantinopoulos and Michael McCauley, as well as the SCAE Brew Bar and some traditional dance performances. SCAE would like to thank the sponsors, all the equipment suppliers, and the organisers of the entertainment, for their support and help in making this our most successful World Cezve/Ibrik Championship to date.